I have spent the last 8 years of my life treating over three thousand patients with hyperbaric oxygen therapy (HBOT); it sounds crazy, but this is my purpose in life. When you see people walk in to the clinic empty, alone, numb, hopeless that anything will ever help them, you want to do whatever you can to help. Then, when you see them start walking again for the first time in years, improve their speech, start socializing again, mend their broken relationships, become headache free, sleep 8 hours a day and literally get their lives back, it affects you at your core. That is what motivates me to keep fighting for this treatment 8 years after I first got involved. After taking several college courses at 19 years old, I could not figure out what I wanted to be “when I grew up”; accountant, chef, marine biologist, or zoologist, I was changing my mind every week. A commercial for dive school kept catching my eye and I decided to go see what it was all about. “There are not many women in this industry,” said the school recruiter. “This is hard physical work.” Not having a tough bone in my body, I decided to commit to the one year course to be a commercial diver anyway. After a year and a half constantly being offshore, the only thing I enjoyed about my job was operating the hyperbaric chamber as a dive medic to treat divers with decompression sickness. 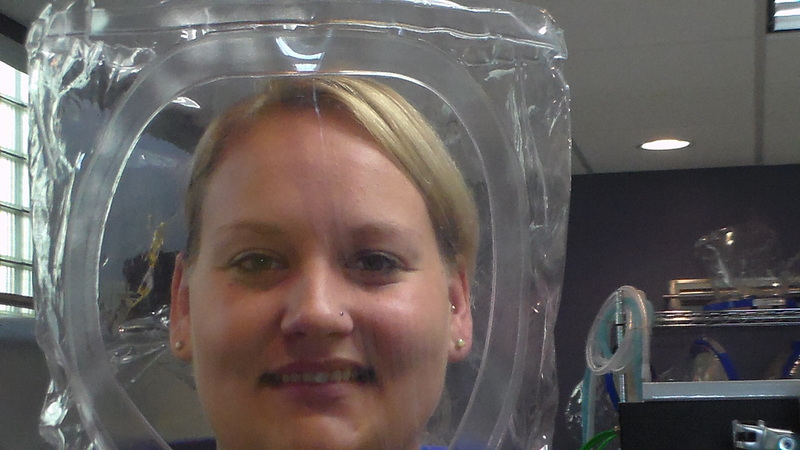 I found a local clinic that used hyperbaric chambers for patients and asked if I could volunteer . After having proven myself, I was offered a full time job as a hyperbaric technician. As my good fortune would have it, I was working with one of the greatest pioneers of hyperbaric medicine, Dr. Paul Harch. I worked alongside Dr. Harch, and Dr. Keith Van Meter in Louisiana developing my knowledge base and learning more about research. As I learned more about hyperbaric medicine, I knew I needed to round out my experience in other hyperbaric settings and decided to make the move from Louisiana to DC to work in the hospital setting. It was definitely a different experience. I found myself longing to be back in the private clinic setting. I found an opportunity to be part of the launch team for a clinic in North Carolina that would give me the experience on the business side of hyperbaric and the opportunity to get back to the private clinic setting, so I made the move. I learned how to launch and market a new hyperbaric business and got to be a huge part in helping people again, which was what I loved most. Sadly, we just could not sustain the business. Once again, I was on the move. I chose an opportunity in Norfolk Virginia in a small clinic in April of 2013, the clinic I now own. I am thrilled to have the opportunity to shape the future of hyperbaric medicine and ensure that people from all walks of life, with myriad health issues can have access to hyperbaric oxygen therapy!